Combine the ascents of these 2 volcanoes into one trip. You will climb the Lanin volcano over 2 days, camping in a sheltered area. 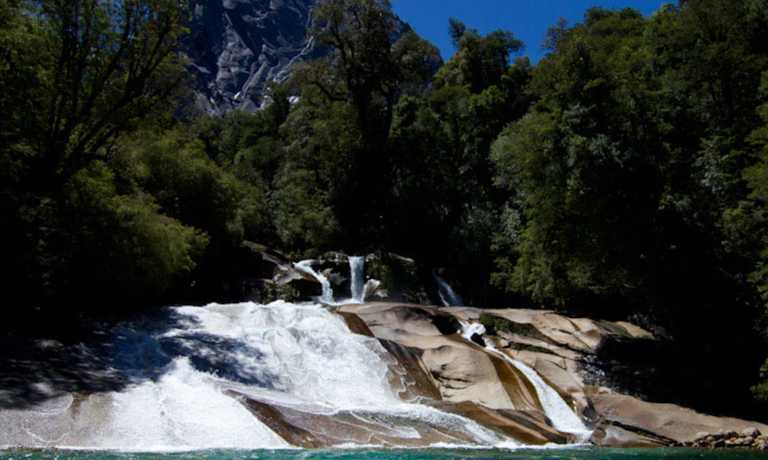 Spend one day in Pucon to recover and hike right to the mouth of the Villarrica, to finish your adventure. Be prepared for some difficult trekking but wonderful views. In the afternoon previous to the ascent of the Lanin we will have a meeting with the mountain guide that will lead the expeditions to check the equipment, get informed about the last details and clear up any doubts that may arise. We start north from San Martin de los Andes at 7am, travelling the 100km that separates it from the base of the Lanin Volcano. Once there, we will register at the Forest Rangers Office and we will begin the climb towards the shelters area (2400 MASL). The trek is quiet and slow with a 1300m slope and we will complete it in about 4 - 5 hours. Once in the shelters, resting time, hydration and preparation for the summit attempt begin. We use this time to adjust the crampons, practice ice walking and ice axe (piolet) self-arrest techniques. The purpose of this practice is that your first experience with this type of equipment is not at dawn and with a head torch. We have dinner early and we go to sleep. Weather permitting, we start at about 3am. 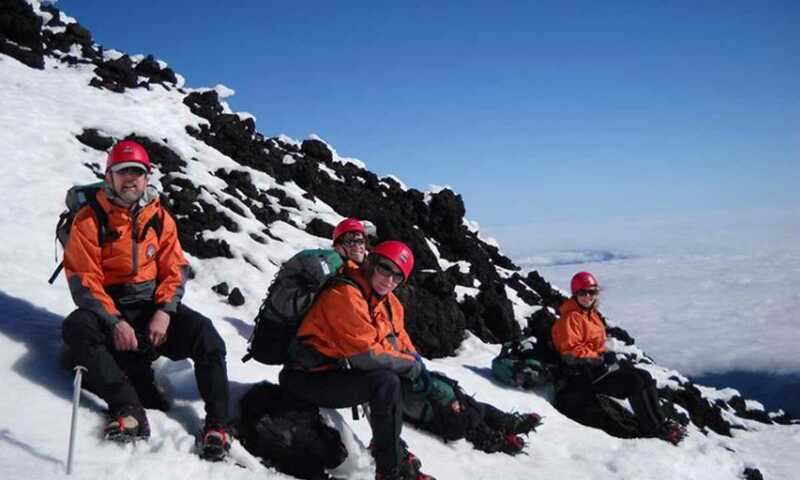 According to the conditions of the volcano, the first part will possibly be on rocky ground to later put on the equipment that will allow us to walk safely on hard snow. The rhythm is slow but constant since we are to move along 1400m of slope towards the summit. The trail takes between 5-7 hours depending on the group and the weather. Once on the summit we will enjoy the well-deserved views. After that, we start our descent - this is equally as challenging as the ascent with both requiring great concentration. When we get to the shelters, we will fetch our sleeping equipment and continue towards the base, where a vehicle will take us back to San Martin de los Andes. This is a long day that demands a total of 10 to 13 hours of activity. When we get to the shelters, we will fetch our sleeping equipment and we will continue towards the base, where a vehicle will takes us to the Chilean city of Pucon. Free day to relax after the trek. Pucon offers many options: unwind at the beach or in the hot springs or take part in adventure activities such as rafting or kayaking. Our activity begins at around 7am, when we drive towards the base of the Villarrica Volcano (15km). Once there, we start our 6-hour hike that will leave us exactly on the mouth of this volcano: the great 315m-diametre crater. 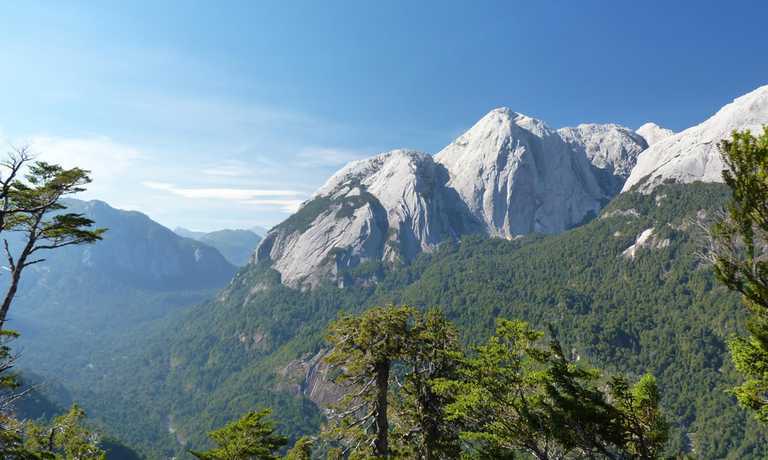 After enjoying this amazing scene, we will descend to the vehicle and start going back to San Martin de los Andes. An end-of-trip celebratory dinner will be shared together.